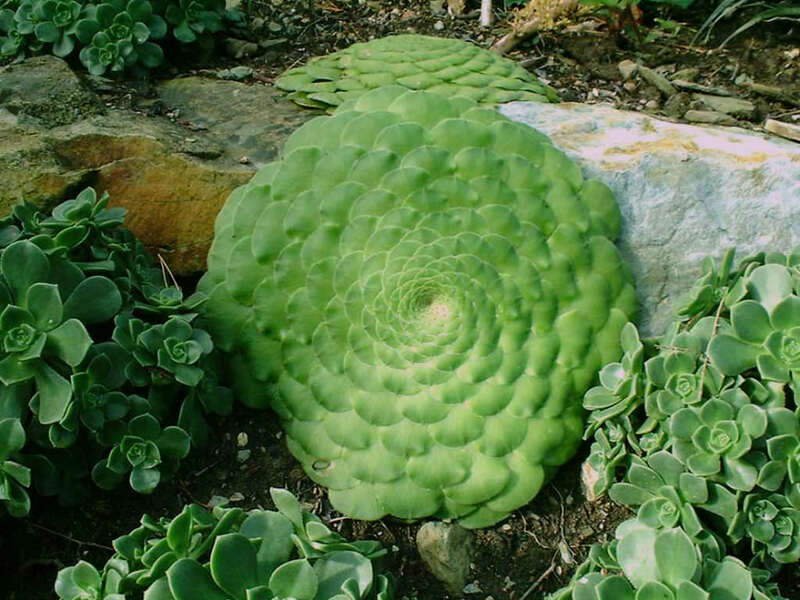 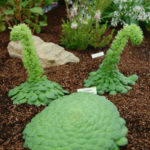 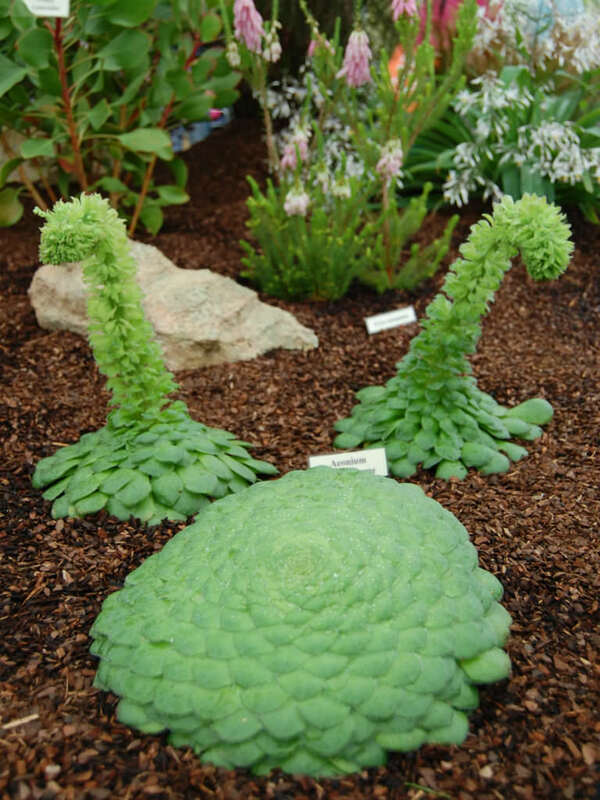 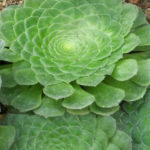 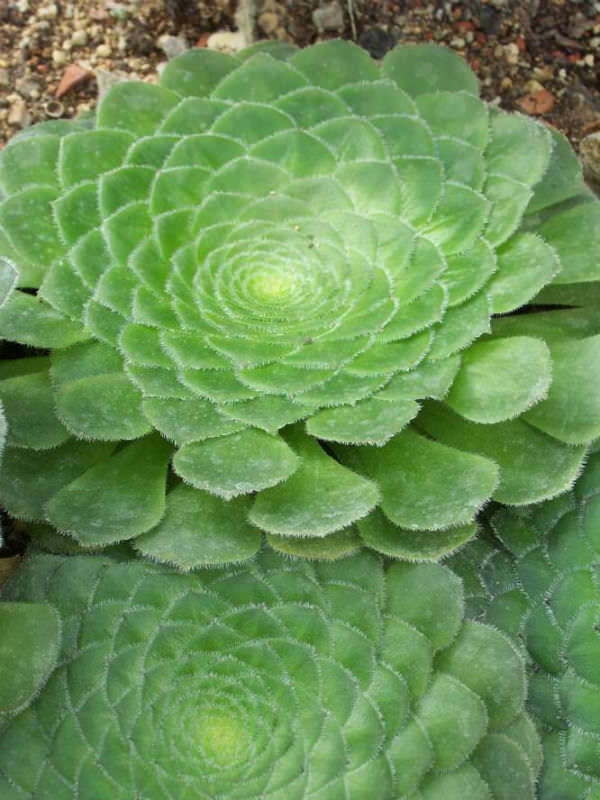 Aeonium tabuliforme is a succulent biennial or perennial forming a compact, flat rosette of of overlapping leaves, up to 24 inches (60 cm) in diameter and only a couple of inches thick. 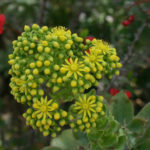 The leaves are fleshy and light green in color. 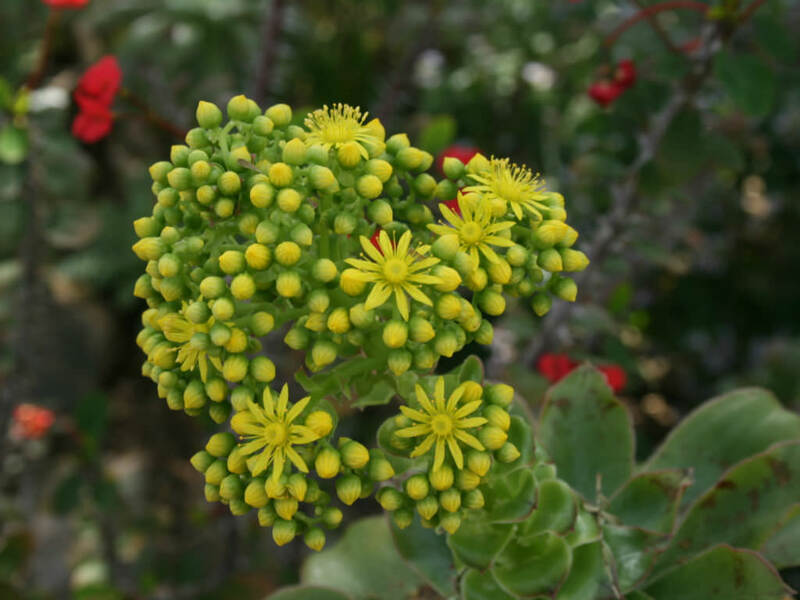 Its small, starry, yellow flowers appear in a raceme up to 24 inches (60 cm) tall.